A very sincere thank you to all the members who helped out in any way on Saturday 16th Marchat our Open Day. It was an enjoyable and successful day, in spite of the weather. We had 19 visitors most of whom I think will return and very probably become members. 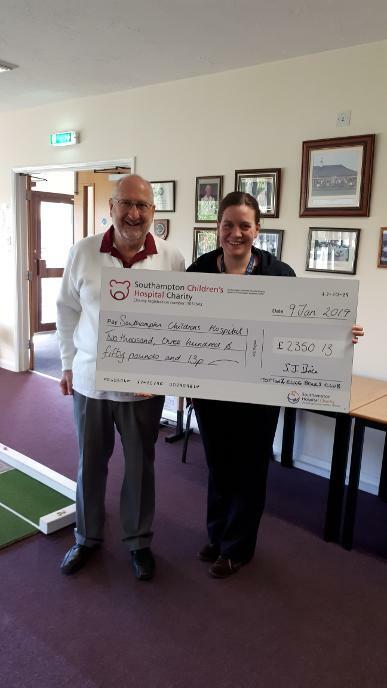 On 9th January Judith Stephens from the Southampton Hospital received a cheque for £2350.13 for the Children's Hospital appeal form the Club President Steven Brice This was the President's charity for 2018. This year Steven's Chosen charity will be The Motor Neurone Disease Association (MND). 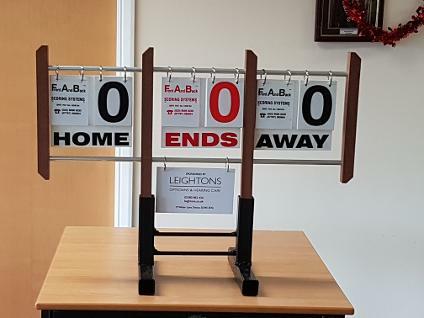 On the 8th December 2018 Lee Janes, Laura Crompton and Meryl Chambers from Leighton's Opticians came to the club to present the new scoreboards they had kindly sponsored They are now inuse and have set our 20th anniversary year off to a good start. Captain Clive with the Division 5 trophy from Southampton & District Association, and Captain Dereck with the Division 4 trophy from the New Forest Bowling Association. Well done to both teams in 2018. The Christmas Fayre raised over £1000 for the Southampton Children's Hospital Charity. This was very well supported on a wet , miserable morning. Thanks to all who helped in so many ways. News of members – We are all saddened to hear of the death of Charles Cochrane, a founder member of our Club. I have taken flowers with a card to his widow Joy. His funeral will be on Tuesday 4 December – details are on the Club noticeboard. Shirley Lawrence has had her hospital operation postponed but we hope that this will happen soon and that we shall see her restored to fitness and good health. 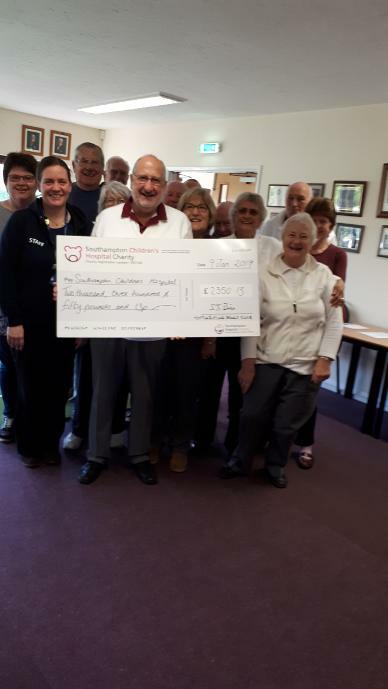 Friendlies – we enjoyed a visit to East Dorset Indoor Club in Christchurch followed by a meal on Sunday 21 October and on Sunday 25 November we made our annual visit to Palmerston. Thank you to those who have played in these matches, which are always challenging but nevertheless enjoyable. Don’t forget that these Friendlies are open to ALL members. There are some more scheduled for pre-season in March and April next year, details of which will appear nearer the time. Website – Rosemary Hunter has continued her excellent work in redeveloping the Club’s website, for which I am most grateful. Do please check it out. If you have any suggestions, please let her know. 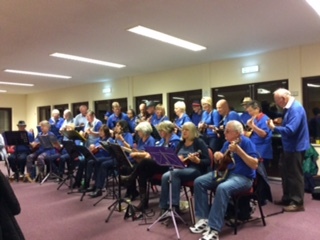 Social events – the Hythe Ukelele Band entertained us superbly with music and songs (plus some bad jokes!) on Friday 9 November. We cancelled the Quiz Evening arranged for Saturday 24 November because not enough of you signed up for it, but we can run it next year if you want us to. The Romsey Ladies’ Choir are due to entertain us on Saturday 8 December, so do please sign up and make this an enjoyable evening. The Green – we owe thanks to Keith Sinclair who started work recently to secure the carpet to the walls of the green. The Town Council responded positively to my request to cut down some trees on the far side of the green which should reduce the quantity of leaves falling on the green and reduce moss growth. Our thanks go also to the small and dedicated team of men who have continued to keep control of the moss. Sponsorship and Scoreboards – New scoreboards have been made, paid for by Leighton’s Opticians, and their promotional signs have been completed and attached. I have invited their representatives to visit the Club so that we can make a brief presentation and give them our thanks. It is a possible publicity opportunity for a photograph and brief article in the Daily Echo. Details of date and time will be published as soon as they are known. The Club’s 20th Birthday Celebrations are scheduled for Thursday 25 April 2019. More details will be published in the new year, but in the meantime please put this date in next year’s diary. Fund Raising - I mentioned at the AGM that although we are not short of funds it might be appropriate to build up some funds for possible future large expenditures. Depending on the finances of the Town Council, we may need to contribute to the cost of a new outside carpet in maybe ten years’ time or less. The GPC decided, therefore, that with effect from 2019 50% of net revenues from the spring and autumn/Christmas fayres should be paid into Club funds. We did not consider it necessary to ask members to vote on this but if anybody has a view to express please do tell me. Keys and access ‘outside of normal hours’ - I explained at the AGM that all members are entitled to play outside of normal office hours. As has always been the case, any member can book a rink with two days’ notice and a key holder will be present. Details of this are on the notice of opening hours on the board by the office. For example, if you book a rink for a Sunday before the office closes on Friday you will be told the name of the keyholder for that day who will open and close the Club for you. Should you then not be able to play for reason of, say, illness or bad weather then all you will need to do is phone that key holder to explain. Club Competitions: changes of rules - There was discussion at the AGM about changing the timing of playing triples competitions, seeding in the men’s pairs and allowing greater eligibility to play for the Greens Trophy. Small and simple changes also need to be made in order to clarify how we manage any issues arising from members having to withdraw from any of the Club competitions whilst they are still in progress. Proposals will be formulated in due course to present to all full playing members who will be asked to vote on the proposal for the Greens Trophy. Our annual Christmas Fayre will be on Saturday 1 December - Details are on the noticeboard. Thank you to those of you who have already donated items for the usual range of stalls, but there is always room for more. If you can help on the day please sign up and come along and spend your money. Our annual Christmas Dinner will be on Thursday 6 December at the Wellow Golf Club. All are welcome, including partners, so please sign up if you haven’t already done so. The annual Christmas Draw will be held on Wednesday 12 December between the end of roll up and the start of Short Mat, so there is still plenty of time to buy tickets to win from the usual array of fabulous prizes. As always, if there are any issues which you wish to raise please do not hesitate to contact me. It’s a bit early, I know, but I wish you all a Merry Christmas and a Happy New Year. An enjoyable evening was had by members and guests when supper was enjoyed. The ever popular performance by the Hythe Ukelele Band was much appreciated. £100 was raised for the band's charity. After a break for tea and scones there was time for an informal session at which the discussion included future proposals for club competitions, the use of the funds raised at the Easter and Christmas Fair and other items. Over 60 members and friends gathered for the 3 course dinner and presentation of trophies. an enjoyable evening was had by all. For photos of the trophy presentation, please follow the COMPETITIONS link. Over 60 members and friends gathered for the 3 course dinner and presentation of the trophies on 27th October. for photos of the presentation of trophies please follow the COMPETITIONS link. This looks to be a bit longer than usual, maybe it’s because I haven’t written a Newsletter since April! Please make a note of the dates. News of members – You may know that Malcolm Cross became ill at the Club a few weeks ago and spent time in hospital. We wish him well for his continuing recovery. He has visited the Club but is not able to play Bowls for a few weeks. It is good to know that Megan Fulford’s health continues to improve. Some of you will have known Gwyn Lloyd, a founder member of the Club, who died recently. His funeral is on Wednesday 8 August followed by the wake in the Clubroom. President’s Day – Saturday 18 August 10.00am to 1.00pm. A shorter event than in previous years, but I hope it will be just as enjoyable and worthwhile. 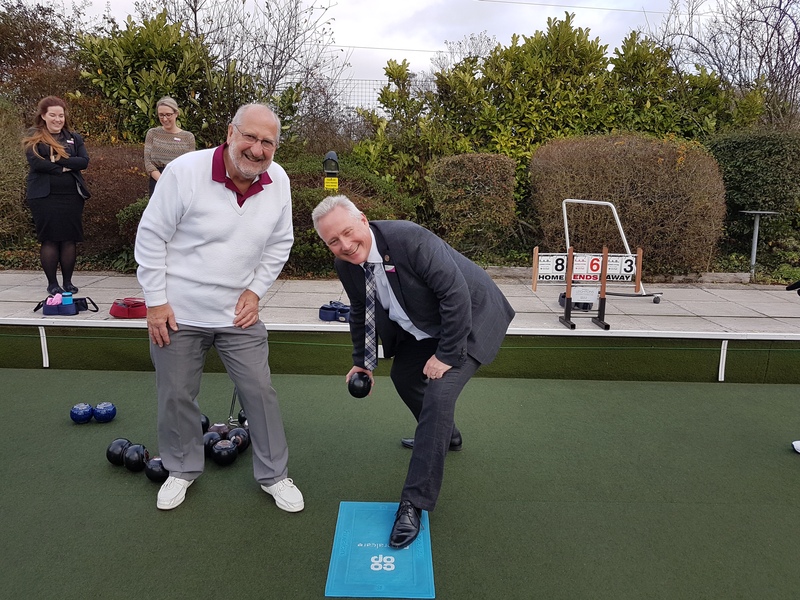 Graham Laird and Chris Fripp will be organising some fun bowls in the morning, there’ll be tea/coffee and home made cakes and the usual bacon rolls and hot dogs available. Entry is free but any offers of raffle prizes would obviously be much appreciated. All proceeds will go to this year’s charity, Southampton General Hospital Children’s Emergency and Trauma Dept. I look forward to seeing as many of you that are able to make it on the day. Club Competitions – as you all know, Finals weekend is Saturday 8 and Sunday 9 September. Please come along to see some top quality Bowls being played and enjoy some refreshments. Men’s Leagues – Congratulations to all those who played in the S&D and NF leagues and contributed to this year’s successes. Winners of S&D Combination 5 with two games to spare and winners of NF Division 4 following a convincing win at home to Milford in our last match. Celebrations all round and at last some more words to place on the honours board. There is an article about this season’s successes in the Waterside Herald due out on 23 August. Ladies’ Leagues – a less successful year than the men, but I am assured that it has been an enjoyable season, even if at times a little too hot. Friendlies – we now have three Friendlies scheduled following New Milton’s withdrawal from the match arranged for 5 September. They are Wednesday 12 September, 2.00pm away at Braeside; Sunday 21 October, 2.00pm at East Dorset Indoor Club in Christchurch followed by a meal; and Sunday 25 November, 2.00pm at Palmerston followed by a meal. These Friendlies are open to ALL members and if you have not played in a Friendly either recently or indeed never, do please sign up – your involvement and support are very welcome. Short Mat – the new season will soon be here. Jan LePage and I will be running the Club league, with support from Jim Freeman while we are still learning. The pre-season meeting for all players, when the draw for teams will be made, is Tuesday 18 September at 1.30pm. The first matches will be on Tuesday 8 October and Wednesday 9 October; a week later than usual because Jan and I are both away in the previous week, but that week can be used for plenty of practice. Presentation Evening – Saturday 27 October. Details are on the noticeboard, so please sign up indicating your menu choices. As always, all are welcome, including partners. Website – Rosemary Hunter has done an excellent job in redeveloping the Club’s website, for which I am most grateful. Do please check it out. If you have any suggestions, please let her know. Social events – Unfortunately, the proposed visit to Potters Resort in January had to be cancelled due to insufficient support. There are other social events arranged for the autumn - an indoor games evening on Saturday 13 October, great entertainment from the Hythe Ukelele Band (back by popular demand!) on Friday 9 November and on Saturday 24 November there is a Quiz Evening to include a seasonal theme. Testwood School – it was good to host some pupils from years 7 and 8 for Bowls on Wednesday afternoons in June and July. My thanks are due to those members who helped with this. The pupils ae keen to return next summer. The Green – It has continued to look good as a result of the hard work of several members for which we all continue to be grateful. Work is due to start in September to secure the carpet to the walls of the green. I have asked the Town Council, via Mandy, to look into the possibility of lopping the tops of the trees at the far side of the green, in order to reduce the quantity of leaves falling on the green and causing us problems. Leighton’s Opticians have talked to me about possible sponsorship. We could do with some new scoreboards! Two of their representatives will be joining us for a time on the Saturday of our Club Finals weekend to talk to us about their services. The Club’s 20th Birthday Celebrations are scheduled for Thursday 25 April 2019. 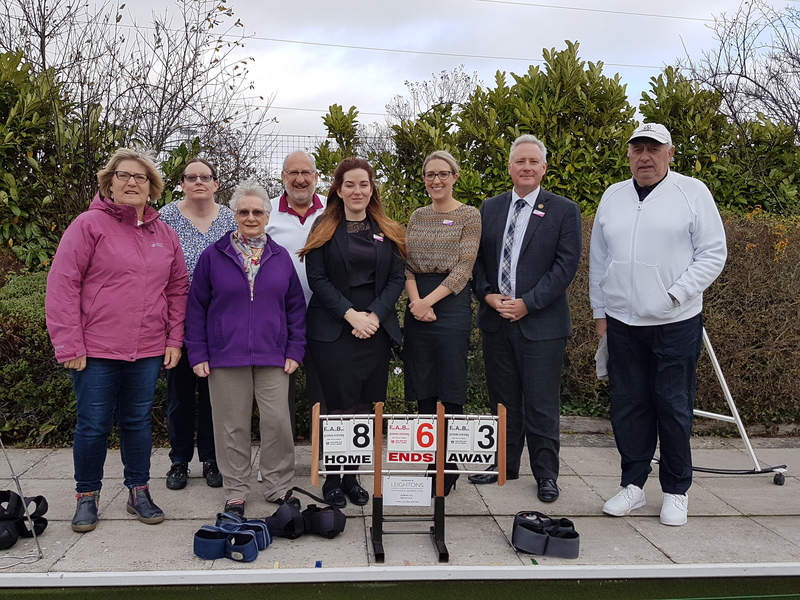 More details later in the year, but we shall be inviting representatives from other Clubs, councillors and other important people, to play Bowls, enjoy a meal and make a few appropriate but very short speeches. The 2018 Annual General Meeting is on Friday 2 November at 2.30pm. It would be good to see as many of you as possible there.